Throw on a scarf and get ready for holiday celebrations of the brewed variety—these winter beer events will keep your cheeks rosy all season long. What: Indulge in an assortment of winter beverages at this showcase of Finnriver Farm & Cidery’s ciders and fruit wines. Bushwhacker Cidery will dedicate all 8 taps to Finnriver ciders, and Finnriver’s own Jana Daisy-Ensign will be on hand to answer questions and offer samples. Smitten Artisan Truffles will offer custom chocolate cordial cups as an optional serving vessel for the port-style and apple brandy fruit wines, as well as experimental apple brandy fruit wine chocolate truffles. When: Thursday, November 21 from 5 to 9 pm. Where: 1212 D SE Powell St.
How Much: Free to attend and sample. Guests are encouraged to consider purchasing beverages or chocolates as holiday gifts. What: It's Widmer Brothers' annual celebration of winter in the Northwest, featuring music, art, fashion, and of course, beer—including Widmer's celebrated Brrr winter warmer. The event also features a silent auction benefitting the Snowdays Foundation, a local nonprofit that seeks to empower metro youth through snowboarding. Attendees can bid on pieces created by local artists out of used snowboards. When: Friday, November 22 at 9 pm. What: Each year Lompoc brews one of the largest lineups of winter beers of any Portland microbrewery. They'll release their entire collection of holiday recipes to the public at all their locations on the same day. How Much: The cost of your beer! What: Bridgeport Brewing's annual holiday pub crawl through Multnomah Village starts at bottle mecca John's Marketplace, and includes a sampling of the 2011 vintage of Old Knuclehead, Bridgeport's barleywine. When: Thursday, December 5 from 5 to 9 pm. How Much: Free, beer not included. What: The 18th annual edition of this celebration of winer brews gathers beer lovers under a clear-top tent in Pioneer Courthouse Square to sample over 50 beers brewed for the Holiday season, most of which are created especially for the festival. 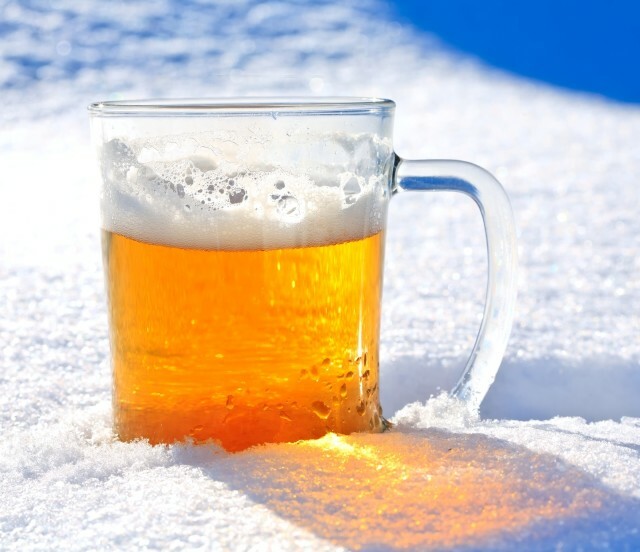 Be careful, becuase this is no summer lager fest: these are big, rich, boozy, beers meant to fend off that winter chill, and likely to leave you needing a cab ride home. When: Wednesday, December 4 through Saturday, December 7, 11 am to 10 pm; Sunday, December 8, 11 am to 5 pm. How Much: $30, includes tasting mug, ten tokens, and entry all five days of the festival. What: Just as the name would lead you to believe, this special Sunday brunch, part of the Holiday Ale Festival, is all about the beer. In addition to a full European style brunch buffet (think artisan cheeses and salamis, savory puff pastries, and pain au chocolat), the beer brunch features special brews not available at the main festival. When: Sunday, December 8, 11 am to 1 pm. What: Looking ahead to the other end of the season, Fort George Brewery sheds light on the dark nights of the year with its annual Stout Month—featuring specialty stout creations made with cherries, gourds, hot peppers, chocolate, bourbon barrels, and more during the entire month of February. An Oysters and Stouts Brewers Dinner will feature a five-course pairing of Willapa Bay oysters and small-batch stouts, and the Festival of the Dark Arts takes over the Fort George campus for a night of fire dancers, tarot card readers, tattoo artists, live music, and more than 60 creative stout samples from around the Northwest. How Much: For more information, visit fortgeorgebrewery.com.